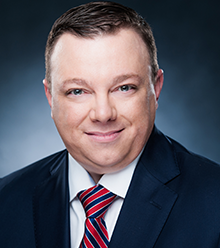 Meet Our Team : Premier Asset Solutions, Inc.
Daniel is president and CEO of Premier Asset Solutions and a Financial Services Professional with New York Life. He has nearly two decades of experience in the financial services industry, specializing in financial strategies, with a focus on business needs and retirement for business owners and charitable organizations. Daniel works closely with clients developing plans to fit their lifestyles and work within the confines of their financial ability, hoping that every client will come away with a sense of ease and relief. His goal is to form a partnership with them for many years to see them through good times and bad and that clients consider him a friend. Daniel feels a great sense of pride in doing things the right way and ensuring clients know he cares about them, their families and their businesses. Before entering the financial services industry, Daniel had a successful career in banking with many achievements as one of the top bankers in the country. Daniel has been a member of the Million Dollar Round Table for the last six years, and most recently has achieved Court of the Table status (2017/2018). Daniel is a member of New York Life's Chariman's Council, which consists of ranking in the top three percent of New York Life's elite sales force. Daniel proudly served on New York Life's peer elected Agent Advisory Council in 2016 as an Associate Chairman to the Agency Support Committee. He is a member of The Nautilus Group®, a service of New York Life Insurance Company, and the AALU since 2016. He has earned New York Life’s council membership for seven consecutive years for being one of New York Life’s top agents in its sales force. 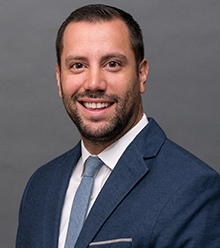 Daniel looks forward to opportunities to mentor other agents and often speaks to the newer agents in classroom settings to assist them in growing their respective practices. When not in the office, Daniel enjoys spending as much time as he can with his kids, Jessica and Joey. He also enjoys attending sporting events and concerts, and is an avid dart player and golfer. Piero is one of Premier Asset Solutions’ Senior Vice Presidents and a Financial Services Professional with New York Life. He enjoys the long-term friendships he has built while working with the majority of his clients for many years and has developed much care and respect for his clients. Gaining and keeping his clients’ respect is very important to him which pushes him to go above and beyond for his clients. Piero works closely with business owners and individuals to help them realize their dreams of retirement and makes sure that their loved ones are protected. The need he fills for many of his business owner clients is creating an employee benefits plan and health insurance plan. Many of his clients are also restaurant owners that he assists with retirement planning as well as business succession planning. Piero enjoys the working relationship and friendship he has built with Danny Capurso. He attributes the company’s success to how well they work together and that is reflected to clients. 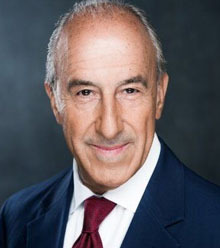 Piero has been a member of New York Life's President's Council since 1993, and a qualifying and lifetime member of the Million Dollar Roundtable (MDRT). He is also a senior NYLIAC agent with New York Life and a former member of the Agents Advisory Council with New York Life. An interesting fact about Piero is that before beginning his career in insurance and financial services, he was the first mate of a cruise ship. It is on that ship that he met his wife of nearly four decades, Andrea. He was then introduced to the man who would become his manager at New York Life, launching his successful career that has now served him well for many years. Piero and Andrea are the proud parents of two children, Joseph and Olivia. Joseph works for New York Life’s Long Term Care Department and Olivia is pursuing her dream of becoming a designer. Piero and Andrea cherish each other’s company and enjoy traveling as well as spending time at their property in West Palm Beach. They love being on the beach, enjoying nice restaurants and spending time with their friends and family. Maria Ocampo is Premier Asset Solutions’ Employee Benefits Specialist and a Financial Services Professional with New York Life. Maria looks forward to spending many more years in her position and oftentimes spends her days discussing protection and retirement needs with clients. Many of her clients are business owners and she enjoys helping them to create a more well-rounded benefits package for their employees. Maria is dedicated to showing genuine care for her clients and providing comprehensive, thorough service. She strives to exceed client expectations and better educate them on different aspects of their financial lives. Maria studied Business Administration and then began her career in financial services in 2011. 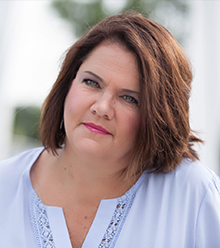 In 2015, Maria became a registered representative and achieved her Retirement Income Certified Professional (RICP®) designation through the American College of Financial Services and continues to be a student of the industry for her clients and her personal growth. Outside of the office, Maria loves being outdoors, especially during the summertime. Her and her partner often go to the beach, park or pool during summer weekends. They enjoy cooking, especially grilling, and of course, eating. Maria is passionate about contributing to various organizations including being a “big buddy” for Comfort Zone camp and assisting at events within the LGBT community. Danielle has been Daniel’s Executive Assistant at Premier Asset Solutions since 2016. 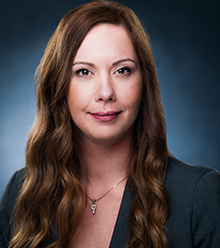 Danielle focuses her attention on building client relationships and ensuring clients always have a great experience with Premier Asset Solutions. Danielle handles the scheduling of all meetings and processing paperwork, always ensuring work is done in a timely and professional manner. Danielle appreciates the culture of Premier Asset Solutions. Everyone feels like family and not just a coworker or client because of the care that Daniel has been put into making everyone feel important and appreciated in the business. Danielle appreciates being a part of something “bigger” through their work. Danielle cherishes her time with her three children: Bobby, Danny and Samantha, and her goal is to provide a good and happy life for them. She also loves going to the beach, to concerts, spending time with friends and enjoying new experiences. Deena is the Executive Assistant to Piero Silvestri. She has been with Premier Asset Solutions for nearly three decades. Her position has been such a great fit for her because she gets great satisfaction out of helping clients that are in need. She also likes to problem solve and enjoys being part of the Premier team because they are more like family. 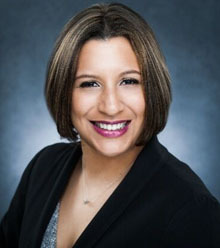 Deena spends her time in the office assisting the company’s health insurance clients and helping to make various processes go smoothly such as processing new client applications and handling underwriting issues. Deena and her husband James have three children: Kyle, Grace and Sara. Outside of the office, Deena can be found with her family and friends and attending her children’s sporting events. Deena is a big music fan and her and Sara attend many concerts together. She also enjoys being at their beach cabana during the summer. Marcus is a 2017 qualifying member of the Million Dollar Roundtable^. He assists clients with their risk management by handling life insurance, disability policies, long term care and everything in between. But Marcus works with clients beyond an insurance and protection needs standpoint. As a business man himself he owns Rivera Business Holdings LLC. He knows exactly what his business clientele are going through because he's been there himself. So whether you're starting a new business or managing an existing one – if you want to make sure your protections ducks are in a row, Marcus is your go-to guy. Marcus is essentially following in his father's footsteps, and for the very best reasons. His life goal is to be able to provide for his family in the same way his father provided for him. For more than 30 years Marcus has had a front row seat to the ultimate example of how to not only take great care of clients, but truly enjoy family at the same time. Marcus will never forget looking at the sidelines during soccer practice and seeing his dad standing there – no matter what time of day it was. It was then Marcus knew he wanted to model his lifestyle off of his father's. Fast forward to today where he is now running a boutique firm where the primary responsibility is to help people plan for their futures and assure their legacies for generations to come. 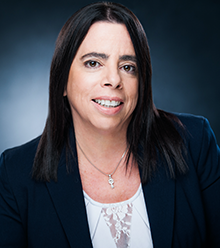 Specializing in customer service, Donna works diligently for Marcus Rivera, Agent of New York Life Insurance Company, to help cultivate and maintain relationships with clients. She’s been with the company for over 14 years, including two years with New York Life Corporate and is intimately familiar with the workings of client portfolios. She’s a great resource for clients as well. Always available to answer service questions as they arise. If she doesn’t know the answer personally, she’ll track down someone who does! Born in Kansas, Donna’s family moved to Colorado when she was young and as a result of having been raised there, loves to cheer on the Denver Broncos. In her spare time, Donna prefers to be outdoors touring the United States on their motorcycle, camping, fishing, gardening or focusing on her hobby of beekeeping! She enjoys spending time with her husband of more than 32 years, their three children and grandchildren. She is proud to say that her family represents the Marines, Army, Navy and Air Force. Neither New York life Insurance Company, not its agents, provides tax, legal or accounting advice. Please consult your own tax, legal, or accounting professionals before making any decisions. ^The Million Dollar Round Table (MDRT), The Premier Association of Financial Professionals, is recognized globally as the standard of excellence for life insurance sales performance in the insurance and financial services industry.